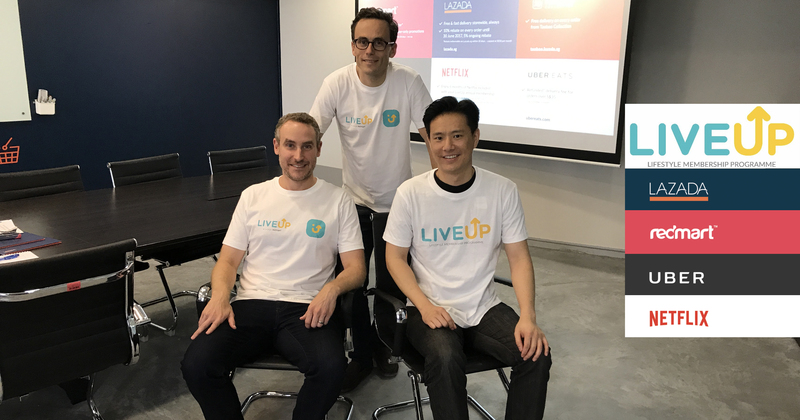 Lazada is busy building its defences in anticipation of Amazon’s arrival, and its latest initiative is called LiveUp. In recent months, they have secured partnerships with some of the biggest brands in retail, the latest being Unilever, and they are far from done. This time, they are taking aim at securing the loyalty of their users through a new membership system, and it’s something that even Amazon Prime cannot match immediately. On the surface, LiveUp by Lazada looks like a direct competitor to Amazon Prime. For an annual fee of $28.80, users are guaranteed free express deliveries for their purchases, and a rebate of 5% on every order (10% at launch until 30 June 2017). Read past that, and a whole new world of discounts open up to stores and services outside of Lazada. In what’s probably a world’s first, Lazada has rounded up some of Singapore’s most popular e-commerce services – RedMart, Taobao, Uber (and uberEATS), and Netflix to create an all-new membership subscription for their users. So what can users who sign up for LiveUp expect other than just rebates and priority deliveries from Lazada? Basically, a ton of stuff. Home to the Asia headquarters of Lazada, Uber, and Netflix, it was an almost natural conclusion for these companies to band together and create an all-encompassing membership for the “digital lifestyle natives” in Singapore. Also, for the fact that Singapore has one of the highest broadband internet penetration in the world, our little red dot is the perfect testbed to birth such a membership. What Lazada has basically done is to let people buy literally almost anything without leaving their homes. From household appliances and electronics from Lazada, groceries from RedMart, anything under the sun from Taobao, to chilling out at home with Netflix while having food delivered via uberEATS. Bored? Grab a ride on Uber for a night out. Online services are quickly becoming an integrated part of our lives for most people with a smartphone or internet connection at home. This move comes in line with Jack Ma’s mantra to create an ecosystem, instead of solely focusing on any one area of e-commerce. Lazada, being under the Alibaba umbrella, is definitely taking cues. While replicating the model in more markets overseas is definitely possible, Lazada CEO Alexis Lanternier shared that their current focus is on the Singapore market, and with that in mind, they are also in the process of getting more services on board. One area which was specifically mentioned was music streaming. Meanwhile, anyone interested to take a test drive of LiveUp will be happy to know that the service is now live, and comes with a 60-day free trial. Lazada is buffing up in record time and it will be interesting to see how Amazon plans to tackle the competition should they start operations.